Fire is a red BITOM in the South Earth is a black NANTA in the North Water is a blue HKOMA in the West Air is a yellow EXARP in the East. 1) Placing lamps in the triangles. 3) Enscribing the appropriate deity name in the appropriate triangle. 4) Enscribing the magical formula within the circle or triangle as appropriate. If a circle of this sort is impossible to physically construct, you can simulate it with a psychic circle. Draw a green circle as shown in Figure 4 with your magical imagin ation. You must also imagine the four triangles in the appropriate positions and colors. If you can imagine this so strongly that you can "see" the circle and triangles clearly in your mirad, then you can use your psychic circle to conduct your operations. 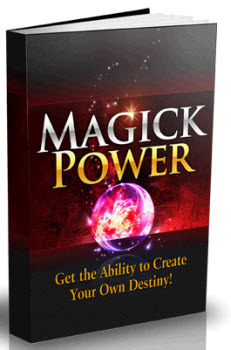 Successful construction of a psychic circie will allow you to conduct your magical operations anywhere and at any time. Whether you use a physical or mental circle, it must be properly consecrated before any operation. This includes an appropriate banishing ritual. 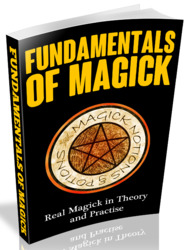 In Enochian Magick, you can use the banishing pentagram or hexagram rituals, or both. However, it is not enough to simply draw the pentagram or hexagram in the air. Your physical actions must always be accompanied by appropriate mental activities. One of the most effective mental methods of consecrating a circle is to imagine a powerful psycho -physical force, like a mist, emanating from your body. Let it swirl around the atmosphere of the drele. Let it gradually forro a protective spherical shell or wall around you ata distance equal to the circumference of the circle. This mental projection should accompany.your tracing of pentagrams and/or hexagrams to banish all foreign elements and influences from your cirde. A method used in Tibetan Yoga, which is quite effective, is to imagine millions of tiny rays of light emanating from your subtle body outward in all directions. The length of each ray is equal to the radius of your circle. At the end of each ray you must imagine the head of a fierce demon (a 'wrathful' deity) facing outward and snarling with protective power. Let these demon heads form a strong protective shell around you. Only when you can "feel" this protective wall surrounding you will your circle truly be consecrated and offer effective protection. Figure 4. 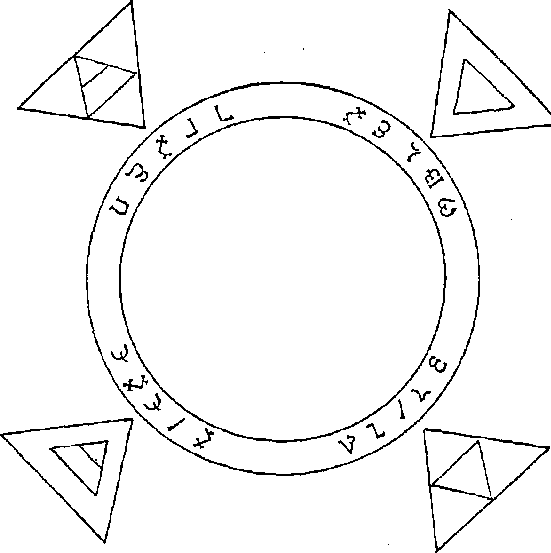 Typical Circle for Conducting Enochian Magick. What golden dawn rituals should i have a physical magick circle for?